Subtitled, ‘the call to live and die for bigger things,’ Pursuing Justice hits the notes many Christians are beginning to hear, however faintly. 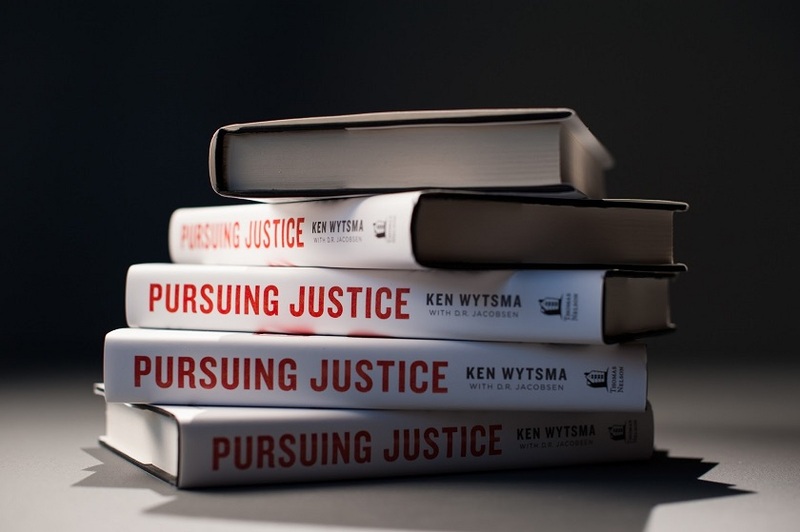 Justice, argues Wytsma, is not an optional concern for those who follow God. It is his heartbeat, the expression of his desire to see his world put right – both for individuals and the systems in which they live. Christians neglected a concern for justice in recent American history, though the Biblical testimony is ample. Whether consumed by culture wars or dismissed in favor of afterlife-focused evangelism, they have missed the clear message of Jesus’ foundational prayer. ‘Thy kingdom come, thy will be done, on earth as it is in heaven.’ Pursuing Justice seeks to stimulate the Christian conscience, trapped in a world of unrecognized and privileged consumerism, to experience the joy of a life sacrificed to a greater cause. If there is one fault, it is that there is little of a practical curriculum to follow. Wytsma gives reference to the need for purposeful education, noting the college he founded helps tailor studies to the justice passion of its individual students. This is a novel idea, for there is no one-size-fits all answer to entrenched issues of injustice. Instead, Wtysma provides verse after challenging verse, and example after inspiring example, to enliven the imagination of the reader. Neither is he shy in providing a litany of heart-wrenching problems we all too often prefer to ignore. We do so, though, to our spiritual peril. Fair enough, but what can the average Christian with a job and a family do to make a difference? This is where the lack of a curriculum is most wise. It is not for everyone to radically redesign their life, and even if they did, how could they choose between so many worthy causes? But when God opens our ideas toward his ideal of justice and we see our fallen world, ugly and distorted, through this lens, we cannot remain unchanged. It must convict us at the least to put right our own small circles of influence, that in all our relationships they function as God intended. Let Christians argue about the details, Wytsma allows. But let their hearts be united in the pursuit of justice. This book purposefully avoids the former, so as to kickstart the latter. It is recommended; let the fun begin.